In response to concerns about the safety of the use of patient-controlled analgesia (PCA) in the postoperative period, the Anesthesia Patient Safety Foundation (APSF) held a workshop in San Francisco on October 13, 2006, that was attended by over 100 clinicians, scientists, and medical industry representatives. The attendees listened to a range of relevant expert presentations, broke into small groups to discuss specific issues, and then reconvened to present and discuss the findings. The workshop focused on improved detection of postoperative opioid-induced respiratory depression. Robert K. Stoelting, MD, APSF President, opened with a statement of the workshop goals: 1) reviewing the evidence regarding the risks of PCA; 2) evaluating the value of continuous monitoring of postoperative patients receiving PCA; and 3) developing recommendations that could be promulgated to advance patient safety. He noted that the APSF believed that opioid-induced postoperative respiratory depression is a preventable cause of morbidity and mortality. He further stated that the recognition of patients at increased risk for respiratory depression and utilization of appropriate monitors to detect this side effect of parenteral opioids could significantly improve patient safety. The available evidence suggests that there is a significant and underappreciated risk of serious injury from PCA and neuraxial opioids in the postoperative period. While some patient populations (notably those patients with obstructive sleep apnea) appear to be at higher risk, there is still a low but unpredictable incidence of life-threatening, opioid-induced respiratory depression in young healthy patients. Moreover, life-threatening, opioid-induced respiratory depression also occurs with intermittent parenteral injections of opioid analgesics. Data and clinical experience suggest that, while continual respiratory monitoring could detect many cases of life-threatening, opioid-induced depression, current monitoring technologies and clinical practices are insufficiently reliable with both false positives (e.g., monitor false alarms) and false negatives (e.g., low sensitivity to SpO2 in the presence of supplemental oxygen administration). Nevertheless, the status quo while awaiting the perfect monitor(s) is not acceptable, and the APSF advocates the routine use of continuous postoperative respiratory monitoring in at-risk patients receiving PCA or neuraxial opioids. Although pulse oximetry will monitor oxygenation, it has reduced sensitivity as a monitor of hypoventilation when supplemental oxygen is administered. When supplemental oxygen is indicated, monitoring of ventilation may warrant the use of technology designed to assess breathing or estimate arterial carbon dioxide concentrations. Richard E. Moon, MD, Professor of Anesthesiology and Associate Professor of Medicine, Duke University Medical Center (Durham, NC), presented a talk entitled “Postoperative Pain Control and Respiratory Depression.” Dr. Moon stated that the literature shows that 0.1-1.0% of patients receiving PCA have serious respiratory depression. The elderly appear to be a particularly high-risk group (e.g., an apparent incidence of 3.2% in patients more than 80 years old vs. 0.6% in patients less than 45 years old). Patient factors (age, disease status, metabolism, genetic susceptibility, drug interactions) are the most common contributors. He warned that maximal respiratory depression may occur after the PCA lockout interval has passed. Dr. Moon then described the various options for monitoring patients receiving parenteral narcotics. His group is conducting detailed measurements of the respiratory and neurophysiology of postoperative patients receiving parenteral opioids. They are examining respiratory patterns as a predictive parameter; Dr. Moon described how the fractal analysis of inter-breath intervals of these patients correlated with mean end-tidal CO2. He recommended that strategies to prevent opioid-induced respiratory depression should include patient triage, appropriate dosing, genetic screening (in the future), and bedside monitoring. “Using Smart Pumps and Continuous Monitoring to Reengineer the PCA Process” was presented by Ray R. Maddox, PharmD, Director of Clinical Pharmacy, Research and Pulmonary Medicine at St. Joseph’s/Candler Health System of Savannah, GA. Dr. Maddox noted that PCA device-related patient injuries reported to the FDA were more prevalent than those for large volume infusion pumps (LVP), despite a much lower overall usage rate. In 2004, the FDA Maude database contained reports of 22 deaths and 106 Adverse Drug Events (ADE) associated with PCA use and 17 deaths and 390 ADE for LVP. Dr. Maddox then discussed the potential benefits of incorporating dose-checking (“smart pump”) technology into PCA pumps. Finally, he described the results of the use of “smart” PCA pumps linked directly to SpO2 and PetCO2 monitoring at his hospital. The Smart PCA technology averted 52 PCA-related potential dosing errors (as evidenced by alterations in programming after device alert) in 225 patients receiving PCA. Dr. Maddox described some post-surgical patients where respiratory depression was detected within the first 6 hours on the ward after transfer from the PACU before any PCA doses had been administered. He also described cases of averted potential negative outcome due to PCA by proxy. Many perceived “nuisance” alarms proved to be real events. In some cases, a patient’s status changed rapidly, and this would have been difficult to detect in a timely manner by standard-of-care intermittent monitoring. Respiratory depression appeared to be at least as common in patients receiving epidural PCA. Finally, Dr. Maddox found that nurses required substantial education to interpret results of continuous capnographic monitoring. To assist in interpretation and consequent clinical decisions, the hospital incorporated respiratory therapists into their multidisciplinary postoperative pain management team. Michael W. Jopling, MD, Chairman of Anesthesiology at Mt. Carmel St. Ann’s Hospital (Columbus, OH), discussed “Capnography Based Respiratory Monitoring Outside the Operating Room.” Dr. Jopling’s community hospital has 6 years’ experience using capnography on their inpatient wards. He argued that the JCAHO’s emphasis on pain as a vital sign had the unintended adverse consequence of setting patients expectations to be “no pain after surgery.” As a result, more patients may be receiving excessive analgesics. He also emphasized that all types of parenteral opiates can cause significant respiratory depression citing, as an example, the need for patients to be monitored for 48 hours after DepoDur™ injections. Dr. Jopling described 2 problems with relying on correct opioid dosing to prevent opioid-induced respiratory depression: 1) for any given level of pain, there may be a 20-fold variance in individuals’ opioid dose requirements; 2) pain is often variable or episodic (e.g., kidney stones). He went on to emphasize that pulse oximetry is a poor monitor of ventilation if a patient is breathing supplemental oxygen. For example, if a patient is receiving 40% oxygen, the PaCO2 could be 150 mmHg and the SpO2 could still be 100%. At his hospital, they use a small portable combined capnograph/pulse oximeter along with improved technology for sampling PetCO2 in un-intubated patients. Respiratory monitoring is part of their Order Set for postoperative care and nurses are allowed to order it independently. All of their clinicians have become believers, although the non-anesthesiologists needed substantial training to be able to effectively implement the system. Ann S. Lofsky, MD, a staff anesthesiologist at St. John’s Hospital (Santa Monica, CA) and Anesthesia Consultant and Governor Emeritus to The Doctors Company (Napa, CA), discussed “Obstructive Sleep Apnea and Postoperative PCA Opioids.” Based on a review of claims data, she identified obstructive sleep apnea (OSA) as a significant factor for anoxic brain injury and death in patients receiving opioid analgesia. She reviewed the physiology of sleep apnea and noted that the neural efferent system responsible for maintaining a patent upper airway is depressed by 2 things: rapid-eye movement (REM) sleep and opioids. Not all patients with OSA are obese males and OSA may not be diagnosed prior to surgery. In The Doctors Company database, there were 8 claims since 2000, which included sleep apnea (or symptoms suggestive of undiagnosed OSA) and postoperative respiratory arrest. Dr. Lofsky emphasized that respiratory rate is not a reliable monitor of ventilation in sleep apnea patients because episodes of obstruction are not usually associated with slow respiratory rates, and there is often chest movement without ventilation (due to airway obstruction). Episodes of critical obstruction can occur intermittently and yet be associated with severe hypoxia. She advocated the following preventive measures: flagging charts of patients with a diagnosis of OSA, having patients already on continuous positive airway pressure (CPAP) use it while hospitalized, and monitoring all OSA patients as long as they are receiving opioids. Dr. Lofsky asserted that respiratory monitoring does not always need to be high-technology–in some cases, an apnea monitor and a sitter may be sufficient. n which comprehensive respiratory data were collected every 4 seconds. Most of these patients received supplemental oxygen, and this could mask severe hypoventilation. Dr. Downs went on to try to debunk the conventional wisdom that supplemental oxygen is both beneficial and desirable. He stated that in pigs, one needed to decrease SaO2 to 40% of normal (22 mmHg) before oxygen consumption started to decrease, and cardiac problems did not appear until SpO2 was less than 20%. He further noted that as desaturation occurs, the diffusion gradient from capillary to mitochondria is maintained. Robert A. Caplan, MD, presented a “Closed Claims Analysis of Cases Involving Postoperative PCA and Neuraxial Narcotics.” Dr. Caplan is Professor of Anesthesiology at the Virginia Mason Medical Center (Seattle, WA) and is a member of the APSF Executive Committee. The ASA Closed Claims database currently contains about 7,000 closed claims (as of 2001). There were 144 cases with acute pain management claims (2% of all claims)–this is a new and increasing source of claims in the last decade. Using strict inclusion criteria, Dr. Caplan identified 15 cases involving PCA and 16 involving central neuraxial narcotics (CNN). Respiratory event onset was in the first 24 hours in 50% of PCA and 62% of CNN claims. About 60% of these 31 patients died, 13% had permanent brain damage, and approximately 25% had no permanent injuries. Care was judged appropriate in only half of the claims. Assuming proper and effective use of monitoring, the trained case reviewers felt that better monitoring could have prevented the event in 73% of the PCA and 56% of CNN cases. Table 1 summarizes and clarifies the workshop findings on the comparative value and potential role of different monitoring modalities for the detection of opioid-induced respiratory depression. The workshop attendees broke up into 4 smaller groups; each group was facilitated by a patient safety expert. Using the presentations as well as their extant knowledge and experience, each group was asked to address the following question: “If we accept the premise that opioid-induced respiratory depression during patient-controlled analgesia is a preventable cause of morbidity and mortality, what steps can the APSF recommend to improve patient safety?” To guide the discussion, 8 more specific questions were posed (Table 2). A synopsis of each group’s findings follows. Group 1 was moderated and presented by Paul A. Baumgart, Vice President, Respiratory Care Products, GE Healthcare (Madison, WI), and Vice President of the APSF. This group felt that patients should be evaluated for risk factors related to postoperative pain management during their preoperative evaluation. While maximal prevention should be undertaken for the higher risk patients, the group advocated continuous monitoring of ventilation for all postoperative patients receiving opioid analgesics, regardless of the route. The group supported the “zero tolerance” position suggesting that the cost of a single adverse incident at a facility would offset all costs of monitoring. Nursing plays a critical role in postoperative patient monitoring. Better education is needed to increase awareness about the risk of PCA and other pain control therapies. Additional care providers such as respiratory therapists could augment nurses’ vigilance. But since postoperative ward patients cannot be continuously attended, additional (electronic) monitoring is necessary. Adverse trends suggesting hypoventilation should automatically pause the opioid administration and simultaneously notify the caregiver. The alarm must be heard. How this is done (whether at the bedside, at a central station, via telemetry, via pagers, etc.) should be appropriate to the physical layout and staffing of the care environment. Group 2 was moderated and presented by David M. Gaba, MD, Associate Dean for Immersive and Simulation-Based Learning, and Professor of Anesthesiology, Stanford University, and Director of the Patient Simulation Center of Innovation (PSCI) at the Palo Alto VA Healthcare System (Palo Alto, CA). Dr. Gaba is also the Secretary of the APSF. Group 2 felt very strongly that we should strive for “zero tolerance”–no patient should suffer an injury due to postoperative respiratory depression from parenteral or neuraxial narcotics. Therefore, we need to develop more effective continuous monitoring strategies linked to a system of timely and effective response (likely requiring enhanced nursing surveillance as well as the involvement of respiratory therapy and other personnel). Continuous monitoring should be applied to all patients receiving parenteral or neuraxial opioids (or opioids via a new but equivalent route of administration). However, initially, it may be necessary to provide such monitoring only for higher risk patients; those who are 1) known or suspected to have central or obstructive sleep apnea-enhanced preoperative screening for such patients should be considered; 2) elderly; 3) receiving other CNS-active drugs; and 4) have pre-existing respiratory compromise. The group felt that there is currently no single ideal monitor (or combination of monitors). Yet, many in the group believed that any monitoring was better than no monitoring. Patients should currently be monitored with more than one concurrent modality; while effective monitors of alveolar ventilation are superior to monitoring only arterial blood oxygenation, both ventilation and oxygenation should be monitored. Assessing level of sedation along with level of pain would also be useful. The prevention of opioid-induced respiratory depression should include education of patients and families about realistic expectations for pain control and risks, as well as education and training of clinicians about analgesia and respiratory physiology. Research is required to identify causes, risk groups, and effectiveness of prevention and treatment of respiratory depression. As new information becomes available, the implementation, prevention, and treatment strategies can be optimized. The dissemination and implementation strategy for addressing this problem should include an APSF position statement; education and training; modified patient-care protocols including expanded use of non-opioid analgesic techniques; and engagement of other parties that conduct direct or indirect implementation of patient safety change, such as the Institute for Healthcare Improvement and JCAHO. Group 3 was moderated and presented by Julian M. Goldman, MD, Assistant Professor of Anesthesiology and Biomedical Engineering, Massachusetts General Hospital and Harvard University (Boston, MA). This group believed that it was not possible to reliably identify those patients at higher risk, and, therefore, all patients receiving parenteral opioids should be monitored. They felt that the nurse as an intermittent monitor of respiratory depression was inadequate and, at a minimum, a reliable continuous apnea monitor should be used. However, they recognized that no single current monitoring technology was optimal. They were very concerned about the high rate of false alarms and advocated research to address this important problem. If monitoring detected possible opioid-induced respiratory depression, the infusion should be stopped and a “call for help” should be issued. Dr. Goldman noted that such an implementation had been explicitly excluded in the international closed-loop control medical device standard currently under development. The group also advocated that any solution should address maintenance and training issues. Finally, the group suggested caution in moving forward too quickly because this might limit much needed research. Group 4 was moderated and presented by Michael A. Olympio, MD, Professor and Vice-Chairman of Education, Department of Anesthesiology, Wake Forest University School of Medicine (Winston-Salem, NC). Dr. Olympio is the Chair of the APSF Committee on Technology and a member of the APSF Board of Directors. This group felt that of all patients receiving parenteral or neuraxial opioids (or procedural sedation), the ones at the greatest risk could not be reliably distinguished from low risk patients, and, therefore, they advocated that all patients be treated equivalently. For example, to declare patients with sleep apnea at-risk, would by definition exclude patients with undiagnosed or unlabeled sleep apnea, who are also at-risk. And to declare young healthy patients at low risk would exclude those who received high doses of opioids while awake and then lapsed into a hypoventilatory state while asleep. Despite concerns about the costs and infrastructure required to monitor all patients, this group was adamant about standard monitoring, as historically accomplished with other devices (ECG, pulse oximetry) despite similar concerns. Thus, every patient receiving parenteral opioids should be monitored with, at a minimum, pulse oximetry and a continuous measure of respiratory rate. The group suggested that current monitors of expired carbon dioxide had significant limitations in their ability in un-intubated patients to accurately display a true capnogram and to determine an accurate end-tidal value. Longer term, the goal was to develop and universally implement a monitoring strategy that would 1) reliably determine and effectively report hypoventilation and/or apnea; 2) distinguish hypoventilation from apnea; and 3) distinguish central apnea from obstructive apnea. vider accurate and timely information. The monitor should not solely present otherwise complex graphical data (e.g., capnography waveforms) because some bedside caregivers will not be able to interpret such data correctly. The monitoring systems should be partially linked to PCA or PCEA devices so that the opioid infusion would automatically stop and concurrently notify the responsible caregiver(s). After a vigorous debate, the Group concluded that these recommendations were realistic and feasible, and that money spent up-front for the monitoring technology would significantly reduce serious morbidity and mortality. One more death from pain relief could not be tolerated, and the question should actually be rephrased as, “Can we afford not to monitor these patients?” The group concluded that the final recommendations should be widely promulgated as a mandate. Dr. Matthew Weinger (Vanderbilt University) moderated a general audience discussion that amplified several general topics. Dr. Moon (Duke) suggested that oral opioid administration may be responsible for a significant number of respiratory events. Dr. Stoelting (APSF) reiterated his concern that the recent zeal to render patients pain-free following surgery has resulted in an increase in opioid-related adverse events. Patients may have unrealistic expectations regarding postoperative pain while many doctors and nurses may feel more obligated to maximize analgesia (based on interpretation of JCAHO statements). He has repeatedly heard of situations in which PACU nurses had to stimulate patients to ask them if they were having pain before they could be transported to the ward. The awakened patient might give a 7 response to a 10-point pain scale, placing the nurse in a dilemma of recording this score or giving more analgesic drug to a patient who was clinically comfortable and resting so the PACU record will indicate an “acceptable” pain score upon discharge. A participant stated that we do not use enough non-opioid analgesic adjuvants such as local anesthetic infiltration/regional blocks and non-steroid anti-inflammatory drugs. Drs. Weinger and Morell suggested that patients with obstructive sleep apnea may be safer going home on oral analgesics than staying in the hospital and receiving parenteral opioids. Dr. David Gaba (Stanford University) advocated a better-coordinated multidisciplinary approach to postoperative pain management. Dr. Maddox (Georgia) noted that transdermal and inhaled opioids are new technologies soon to be commercially available and their risks may also prove to be significant. Denise O’Brien (Michigan) asserted that nurses remain the lynchpin of effective intervention and the group should support increased postoperative nursing surveillance. Another participant noted that this meant increased nurse staffing levels with its associated recurring costs. John Downs opined that pulse oximetry monitoring of all postoperative patients will be a standard of care within 3 years. He didn’t think the additional cost of monitoring technologies will be an impediment to their implementation and cited the rapid intraoperative and PACU adoption of pulse oximetry. Steven Barker (Arizona) suggested that there was currently no ideal ventilation monitor and advocated consideration of electronic auscultation of breath sounds. Julian Goldman (Boston) reiterated that his group felt that because none of the current monitors are adequate, they could not make a specific recommendation regarding monitoring. However, he went on to ask, “What would you want for your relative, if they were receiving PCA postoperatively?” Another participant suggested that within the next 5 years every postoperative patient would be monitored for both ventilation and oxygenation. Dr. Stoelting (APSF) stated that we cannot afford to wait another 5 years for the perfect monitors because too many healthy 16-year-olds will have been injured in the interim. We advocate widespread acceptance of the goal that no patient shall be harmed by opioid-induced respiratory depression in the postoperative period. After more than 20 years of clinical experience, there remains a significant and still underappreciated risk of serious injury from PCA and neuraxial opioids in the postoperative period. While some patient populations (notably those patients who are elderly, have concurrent cardiorespiratory or CNS disorders, or obstructive sleep apnea) appear to be at higher risk, there is still a low but unpredictable incidence of life-threatening, opioid-induced respiratory depression in young healthy patients. The APSF advocates that health care providers should have “zero tolerance” of respiratory morbidity and mortality associated with opioid use in the postoperative period because these events should be completely preventable. Even though current methods of detecting and preventing opioid-induced respiratory depression have limitations, we believe that continuous monitoring using available technologies could still prevent a significant number of cases of patient harm. While we recognize the limitations of existing monitoring technologies for detecting opioid-induced respiratory depression, the APSF believes that the benefits of their use outweigh the costs, especially in those patients judged to be at highest risk. Thus, we advocate the use of continuous monitoring of oxygenation (generally pulse oximetry) and of ventilation in non-ventilated patients receiving PCA, neuraxial opioids, or serial doses of parenteral opioids. Thus, immediately, we urge health care professionals to consider the potential safety value of continuous monitoring of oxygenation (pulse oximetry) and ventilation in patients receiving PCA or neuraxial opioids in the postoperative period. Although pulse oximetry will monitor oxygenation during PCA, it may have reduced sensitivity, as a monitor of hypoventilation, when supplemental oxygen is administered. When supplemental oxygen is indicated, monitoring of ventilation may warrant the use of technology designed to assess breathing or estimate arterial carbon dioxide concentrations. Continuous monitoring is most important for the highest risk patients, but depending on clinical judgment, should be applied to other patients.In the short-term, resistance to change, incomplete solutions, and economics will invariably slow adoption of universal monitoring of postoperative patients. Thus, available monitoring resources will need to be directed to those patients at greatest risk of opioid-induced respiratory depression. In particular, continuous monitoring should be strongly considered in any patient with significant OSA receiving PCA or neuraxial opioids. It is critical that any monitoring system be linked to a reliable process to summon a competent health care professional to the patient’s bedside in a timely manner. Even the best monitoring system will be of limited value if the response to the incipient event is ineffective. When the monitoring system alarms, the message must rapidly get to a clinician capable of responding in a timely and appropriate manner. Because staffing constraints necessitate only intermittent presence of clinicians at the bedside of un-intubated postoperative patients receiving parenteral opioids, reliable alerting methods (e.g., audible alarms, central stations, pagers, etc.) are required. Moreover, the responding clinician must be trained to effectively recognize opioid-induced respiratory depression and to intervene appropriately. A mechanism must be in place to allow a bedside clinician to rapidly call for additional help if needed. To effectively manage rare cases of opioid-induced respiratory arrest, the facility must have a well-trained rapid response (or code) team. A widespread program should be initiated to educate providers and patients about the risks of life-threatening respiratory depression associated with the postoperative use of parenteral opioid analgesics. Many clinicians, and the lay public, do not appreciate the risks of respiratory depression associated with postoperative parenteral opioid analgesics. Education of providers who prescribe and administer parenteral opioids in the postoperative period is apparently variable and incomplete, providing an opportunity for the APSF, and for anesthesia care professionals, to increase general knowledge and awareness. Identify those patient populations at the greatest risk of life-threatening, postoperative, opioid-induced respiratory depression. While there are published data on the incidence of opioid-induced respiratory depression in various patient populations, prospective controlled studies could identify the independent relative-risk of critical contributory factors. The relationship of OSA and opioid-induced respiratory depression deserves special attention. Develop optimal respiratory monitoring technologies, algorithms, and alarms. Near-term research should focus on the development of algorithms that integrate data from several information sources (e.g., pulse oximetry and capnography). Other areas of research should include better signal/artifact detection, new sensor technologies, improved gas sampling methods, and computer-aided diagnosis. An important contribution will be lower cost, portable, wireless respiratory monitors. Evaluate the impact of different technologies, duration of monitoring, notification modalities, and systems of response. Research should address the reliability and positive predictive value of different monitoring devices and strategies as well as methods of notifying the clinician responders. The most effective interventions are likely to be multimodal. For example, an intervention might include the routine use of continuous monitoring technologies, electronic notification of front-line clinicians, a rapid response team as a back-up, and simulation-based training of responders. The APSF is optimistic that further research will improve our ability to utilize effectively continuous monitoring of oxygenation and ventilation in the postoperative period. However, the status quo while awaiting the perfect monitor(s) is not acceptable, and we urge the use of continuous postoperative monitoring of oxygenation and ventilation in appropriate patients without delay. Evaluate interventions to reduce the risk of postoperative, life-threatening, opioid-induced depression including the use of alternative analgesic drugs and modalities.Research should continue to investigate the comparative effectiveness, safety, and acceptance of perioperative use of local anesthetic infiltration, non-opioid analgesics (especially non-steroidal anti-inflammatory agents and alpha-2 agonists), and analgesic adjuvants. The development of clinically useful opioid analogues with reduced respiratory depressant properties, long a dream of opioid pharmacologists, should continue to be pursued. Finally, studies showing potential value of coadministration of opioid antagonists to reduce opioid agonist side effects (e.g., pruritus, nausea) should be extended to respiratory depression. Additional clinician training in the prevention, diagnosis, and management of opioid-induced respiratory depression as well as appropriate patient selection for post-procedure PCA and neuraxial opioid therapy. Such training should include ward nurses and appropriate ancillary personnel (e.g., respiratory therapists), based on the systems in place in a specific facility. The most effective training will be experiential– e.g., using clinical scenarios and simulations to reinforce the desired skills and behaviors. Optimized processes of care and medication management systems to assure the occurrence, at the point-of-care, of the 5 Rs for opioid therapy–Right patient, Right drug, Right dose, Right route, Right time. Such processes and systems need not rely on expensive complex technologies. In fact, data suggest that errors can be most effectively reduced by simplifying processes through evidence-based re-engineering that actively involves front-line clinicians and strives to reduce the total number of steps required to accomplish any one task. Although the evidence is still equivocal regarding the cost-to-benefit relationship of institution-wide implementation of current electronic medication management systems, such as computerized physician order entry (CPOE) and bar code medication administration (BCMA), targeted use of electronic safety systems in high-risk medication administration may prove to be more cost-effective. Improved design and implementation of safe and usable opioid infusion pumps including PCA pumps containing dose-error reduction (so-called “smart”) technology. Modern parenteral infusion pumps are complex, and lethal overdoses associated with use errors are disturbingly common. Dose-error reduction software alone will not prevent these events. A particularly attractive feature may be the ability to automatically terminate or reduce PCA (or PCEA) infusions when monitoring technology suggests the presence of opioid-induced respiratory depression. To facilitate such capabilities, we strongly endorse the efforts to develop international standards for device interoperability and device-device communication. In summary, the available evidence suggests that there is a significant and underappreciated risk of serious injury from PCA and neuraxial opioids in the postoperative period. While some patients may be at higher risk, there is still a low but unpredictable incidence of respiratory events in young healthy patients, some of which are related to medical errors associated with infusion technology. Moreover, life-threatening respiratory depression also occurs with intermittent parenteral injections of opioid analgesics. Continuous respiratory monitoring could prevent many cases of life-threatening, opioid-induced respiratory depression. Current monitoring technologies and clinical practices remain suboptimal, being plagued by both false positive (e.g., monitor false alarms) and false negative (e.g., low sensitivity of SpO2 in the presence of supplemental oxygen administration) alarms. Nevertheless, the APSF advocates the routine use of continuous respiratory monitoring in at-risk patients receiving PCA or neuraxial opioids. 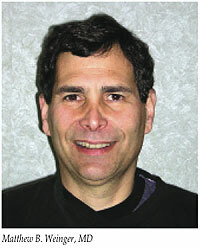 Dr. Matthew B. Weinger holds the Norman Ty Smith Chair in Patient Safety and Medical Simulation at Vanderbilt University School of Medicine (Nashville, TN), where he is a Professor of Anesthesiology, Biomedical Informatics, and Medical Education and a staff physician at the VA Nashville Medical Center. Dr. Weinger is also the Director of the Center for Perioperative Research in Quality, Director of the Simulation Technologies Program of the Center for Experiential Learning and Assessment, and the Co-Director of the Middle Tennessee Center for Improving Patient Safety. Dr. Weinger is a Member of the APSF Executive Board of Directors and also the Co-Chair of the Human Factors Engineering Committee of the Association for the Advancement of Medical Instrumentation (AAMI) which is responsible for developing U.S. national standards for medical device user interfaces. Disclosure: Dr. Weinger has an equity interest in Fluidnet, LLC.